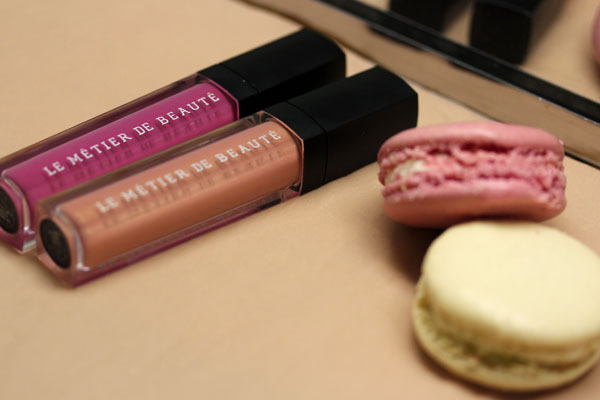 By now, Le Métier de Beauté's seasonal collaboration with NM Fashion Director Ken Downing should be old news to you. This spring's offering is titled Tickled Pinks and made up of a curated set of two lip glosses (Two Lips and Mum's the Word) and a hot pink nail lacquer (Snapdragon). 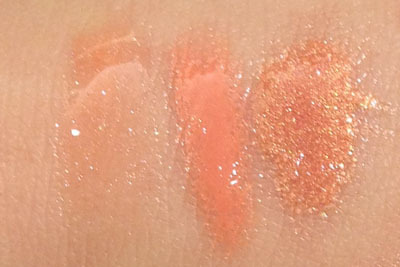 I shied away from Snapdragon because it looked really similar to Solar Flare from the main spring collection, though Snapdragon is just a tinge redder. I'm a little confused as to why this set is called Tickled Pinks, considering half of it is... not. I don't think Two Lips can be passed as even a light pink. To my eye, it's all peach. 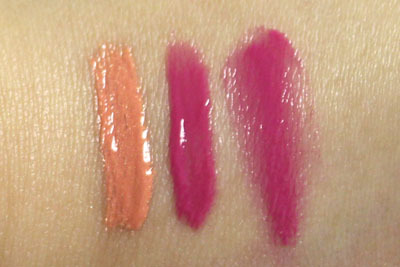 Both Two Lips and Mum's the Word feature the lip crème formula, which I love. I did find that at first use, the texture of the crèmes are a little heavier than what I'm used to, but I think it's just a matter of a couple more uses for the formula to become "normal." LMdB lip crèmes feature a heavy burnt caramel vanilla scent that I fortunately enjoy - it's like having creme brulée on your lips for a few minutes! 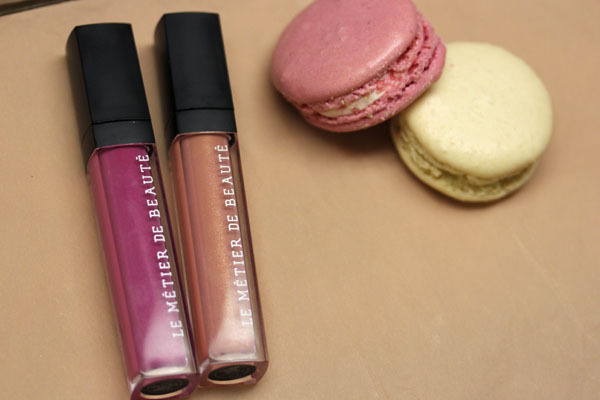 Le Métier de Beauté Haute House Hues Tickled Pinks Lip Creme Set retails for $65 and is exclusively available at Neiman Marcus. Hi Xiao! Would you be able to compare Mum's the Word with Purple Haze Lip Creme? Thanks for the great post! Oh, how disappointing to discover that LMdB's dupe mania has struck again! That is a gorgeous pink on you, though, and looks lovely against your skin tone. Is it just me or do these look nothing like the promo pics? I was thinking they'd be a little more coral. Also, I thought one was supposed to be a lip creme and the other a lip gloss? It's not you Anonymous they look nothing like to promo pics to me too. I thought they would be more coral too. I love Mums, that's my favorite shade in the kaledioscope but tickleed pink looks a bit drab. Still looking forward to getting mine in the mail on Friday. the pink one is gorgeous! Mum's the Word is gorgeous! I've actually never tried this brand...definitely going to have to! stephanie- yes so obsessed with orange glosses >< Mum's the word is beautiful though, but if you have Aurora you can safely skip. Kristina- I won't be able to do it soon because I left Purple Haze at my NY apartment, but they're not similar. MtW is hot pink, while purple haze is a soft lilac. These are gorgeous! 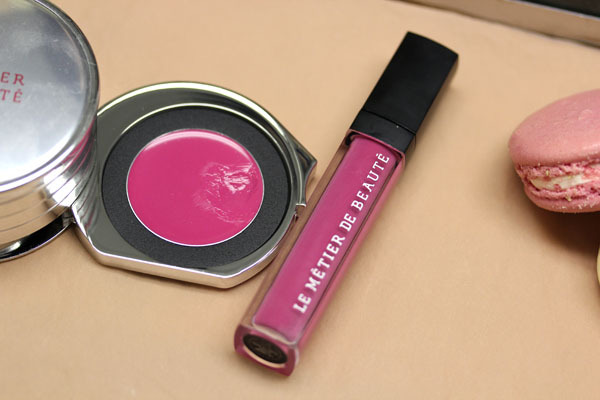 I'm ashamed to admit I don't own any LMdB lip products...yet. But I am really wanting Mums the Word now!! It seems like the simple solution for this is for LMdB to start naming the individual shades in the kaleidoscopes. 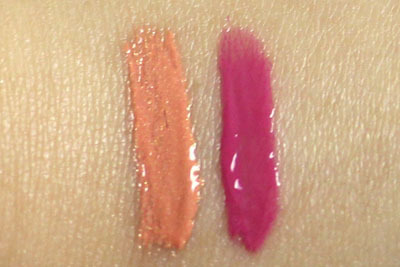 Is the color of Mum's the Word similar to the NARS Never Say Never pencil? Becca- Good time to try! Wow, dupe or not, Mums looks gorgeous on you! on the examine web site on its own.